Product prices and availability are accurate as of 2019-04-10 02:16:17 EDT and are subject to change. Any price and availability information displayed on http://www.amazon.com/ at the time of purchase will apply to the purchase of this product. As any good diver knows, your regulator is your Life Support Equipment. 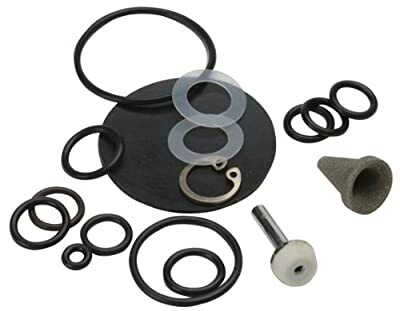 Regulator service kits are intended for use by factory trained technicians who follow factory service procedures and use special tools as required. By purchasing this item, you affirm that you fully understand these instructions and you will have them installed by a factory trained service technician.